A particle of mass 100 g undergoes a simple harmonic motion. The restoring force is provided by a spring with a spring constant of 40 N·m−1. 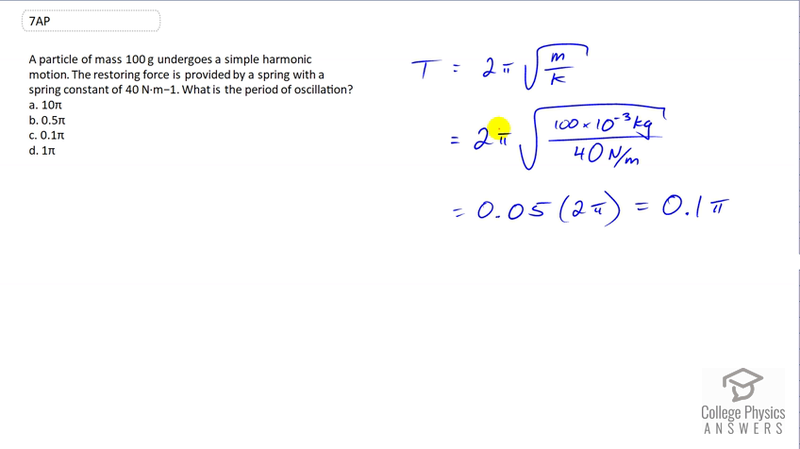 What is the period of oscillation?